One day a native American boy named Lan meets two little bears at the foot of the Sierra Nevada, where he lives with his father. Lan names the brother bear ‘Jacky’ and the sister bear ‘Jill’. As Lan plays with the two bears, they become good friends. However their happiness doesn’t last for long. 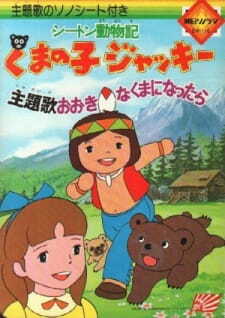 Lan’s father accidentally shoots the two little bears’ mother to death. Feeling sorry for them, Lan decides to take Jackie and Jill back home to live with him.